midget 2, a photo by a1scrapmetal on Flickr. Found on a boot sale in Weaverham today. 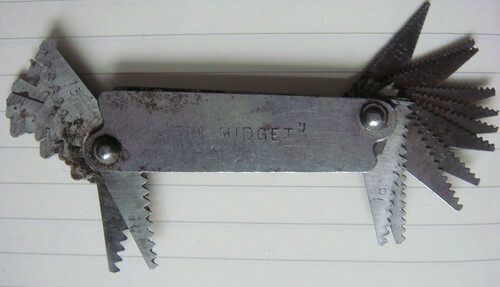 A thread gauge, which lives up to it name by only being 2 inches long. midget1, a photo by a1scrapmetal on Flickr. 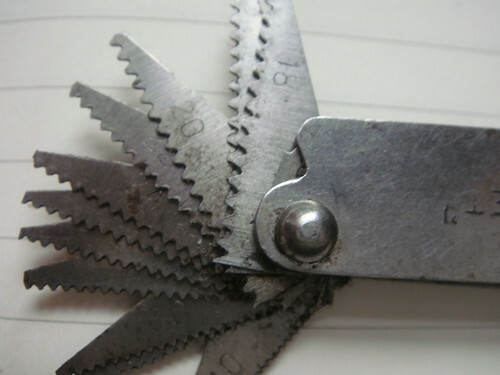 A detail of the measuring "blades"